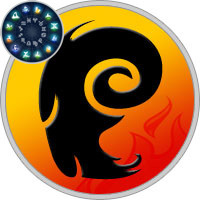 As an Aries born on April 13th, your optimism and adventurous qualities are amongst your most defining qualities. You have the unique ability to see the best in most people or situations, which allows you to stay upbeat and positive. Your optimistic world view is paired nicely with your fun-loving sense of adventure. You never shy away from an opportunity to have a new and exciting experience. There is little that you would not try at least once, as you are a true adventurer at heart. Your sign’s paired element is fire and in fact, you have the only cardinal relationship with the element of all the zodiac signs. As a result of your special connection with fire, you have the spark of a self-starter and leader. More so, it is the influence of fire that is responsible for the passion that burns deep within your being. In especially tough times, your passion burns with more focus until your goals are achieved. The positive qualities of fire can be one of your greatest strengths, as long as you avoid the impatience that challenges all fire signs. The Aries is subject to the planetary rule of Mars, but as you were born in the third Decan, or part, of the sign, Jupiter also lends you a dose of its planetary power. While it is Mars that can be credited with your assertive, vigorous and courageous qualities, it is Jupiter’s power that is reflected in our adventurous, optimistic and knowledge-seeking nature. More so than any of the Aries Decans, your planetary influence makes you quite interested in intellectual pursuits. You have a natural curiosity that you will always attempt to fill with philosophical or spiritual pursuits. At times, you may be a dreamer, but fortunately, your desire for success keeps you grounded in the here and now. In love, find a partner that shares in your adventurous passion and does not take advantage of your optimistic and kind-hearted nature.